 Welvaert Time circus Sustainability and art MAS Museum, Antwerp and migration. The coordinators divided the students into seven groups. Students from all nationalities were represented in each group. They were instructed to prepare an article and a presentation on a chosen theme. A panel of specialists in their field and representatives from Passwerk, Kif Kif, the 8 and the Thomas More Hogeschool assessed their work. A short description of their findings can be found below. The integral articles will all appear in the IP SOS file on the Kif Kif website. The article on ‘diversity’ describes the impact of immigration on the dynamics of a host country. The immigration process has had an effect on the dynamics of the host country over the past 20 years. The variation in patterns of immigration has created a society for which the concept of ‘multicultural’ is no longer sufficient. 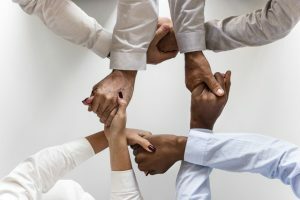 Instead, we now use the new academic definition of ‘super-diversity’, which is described as the ‘diversification of diversity.’ The purpose of the article on ‘Diversity’ is to show how social workers can bring together different nationalities and cultural groups in the ordinary society through communication. According to the article on ‘human rights,’ it is the job of the social worker to encourage the community to participate in policy-making processes. The group also worked hard to simplify the process by which customers can claim their rights and even with an accusing finger to the government. This does not provide sufficient resources that make it impossible for the social worker to guarantee that his clients successfully join and participate in society. The social worker must offer the best possible service under these circumstances. The third group worked around the theme ‘sustainable development’ and posited in the article that only by living sustainably, people and nature could live together in ‘productive harmony’ (without consuming too many raw materials). The ideologies behind sustainable development are based on the basic concepts of corporate social responsibility. Sustainable entrepreneurship does not focus on making a profit but tries to make companies aware of the impact they have on the environment and people. The issue of ‘poverty’ was also discussed in one of the groups. Poverty is more significant than just a lack of resources to achieve a better standard of living. Debt is, according to the definition in the article, a combination of a lack of resources and a lack of inner resilience, for example, the lack of social and emotional capital. These two aspects of poverty are mentioned in the inner and outer poverty. During the presentation, the students linked the differences between poor and rich in both inner and outer poverty to illustrate the discrepancy between both groups. It is the job of the social worker to bridge the gap between the poor and the rich via communication and state resources. According to the students, the lower social classes should also be involved in the ‘environment’ problem. This can be done through educational interventions/awareness campaigns. Poverty and oppression often prevent environmental issues from being heard in this layer of the population. It is the job of the social worker to change this. This can be done by having these groups participate in ecological debates and stimulating active participation. The article on ‘social economy’ identifies the social worker as the one who can bridge the gap between society, politics, and economics. Closing this gap would encourage sustainable development, but the group points out that getting rid of such differences will take a long time. To accomplish this task will be the responsibility of the next generation of social workers. Education will give these people an economic voice that will force the government to make the necessary adjustments. The purpose of the social worker is to facilitate this change by providing skills, providing tools and offering a platform where these classes can work together for a better society and a more sustainable economy.Get spirituality by spiritual readers at cheappsychicreadingss.com and improve your life and balance with society. The North-South article zooms out from the national level and into the unequal distribution of wealth at the global level. This distribution is an obstacle to solving the current ecological and economic crisis. Living in a sustainable world will require a global effort for the same project. The social worker can contribute to this by denouncing this problem and providing as much information as possible to both policymakers and ordinary citizens. In this way, the social worker can encourage both parties to exchange their knowledge worldwide and on a free basis. During the IP, various social activities were organized, such as a pizza evening at Giovanni’s restaurant, a ‘cultural drink’ where students could share their eating and drinking traditions, and an evening of film that looked at ‘Sunday Bloody Sunday.’ ‘, a film that emphasizes the rise of diversity and sexuality in the 1970s. These moments gave the students the chance to get to know each other and each other’s culture better. The IP SOS program was a great success. The project was both instructive and fun. Many of the participants looked back on the experience with satisfaction and were able to bring many new ideas to their home country. Furthermore, everyone also agreed that the IP had also produced many useful ideas for the future social worker. During this IP, attention was not only paid to the current themes within Social Work, but also to the future role of the social worker in sustainable development. Corporate social responsibility and life often receive too little attention in the social sector. The IP succeeded in evaluating the current relationship between the social worker and his client and framing it within an approach that also takes account of sustainable development. As a result of the lively and good atmosphere between the participants, a professional support network was unexpectedly built up. This network will in future provide a platform for further cooperation and information exchange.